Gionee is slowly increasing its market in various countries, and India is a big market for them. It might be one of the reasons that the company is announcing a series of handsets more focused to Indian consumers. Coming to the specifications of Marathon M3, which has seen quite an upgrade regarding the battery rating of 5000mAh. While there are some significant improvements like the Android 4.4.2 Kitkat OS and a 720p display on the new Marathon M3. The other specs sheet includes Quad-core Mediatek SoC, 1GB of RAM, 8GB of internal storage, 8MP rear camera with flash and 2MP front camera. For the Gionee Marathon M3 users, we wanted to share how you can improve your experience by using the tiniest of the tricks that your smartphone is capable of doing. Here are few FAQ, tips and tricks to get you started in improving the user experience on the device. 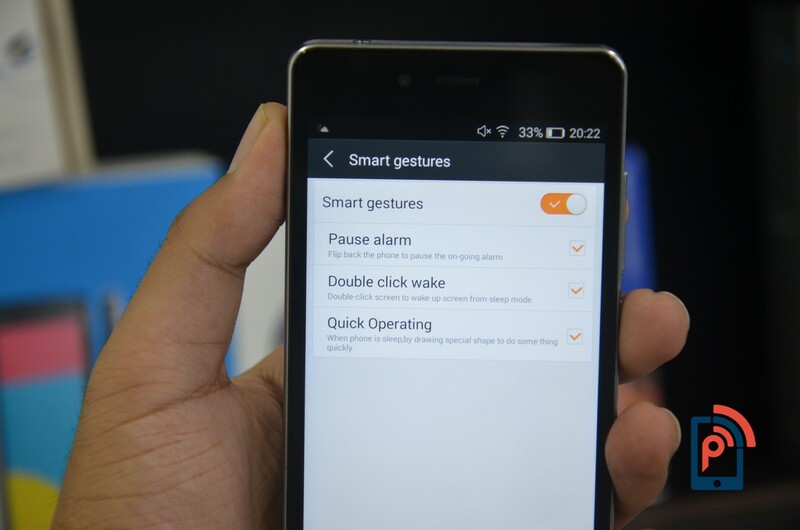 How to use Smart Gestures on the Gionee Marathon M3? What is Hotknot feature on the Gionee Marathon M3? How to Uninstall the Bloatware Apps on the Gionee Marathon M3? How to use Magnification Gestures on my Gionee Marathon M3? What is the function of Start app pre-installed on the Gionee Marathon M3? How to use Data Network via Tethering on my Marathon M3? How to Manage App Drawer on the Gionee Marathon M3? How to Install External apps on the Gionee Marathon M3? How to Customize Quick Settings panel on Marathon M3? How to add Widgets and Apps to Home Screen on Marathon M3? What are the Set Schedule Power On/Off and Schedule Airplane Mode features on Marathon M3? How to insert the SIM card on the Gionee Marathon M3? Will the Gionee Marathon M3 phone get Android 5.0 Lollipop update? Smart gestures have always been cool, but now manufacturers are trending up this feature on their smartphone. Gionee has included three options under this section. First one allows you to pause an ongoing alarm by just flipping the phone. Second option is quite convenient as it allows you to wake up the screen from sleep mode with double tap. It has been gaining preference among high-end smartphone users. While the last one is an interesting option. You can open the apps on M3 by drawing the select shapes, when it is in sleep mode. The features like this were previously present on the high-end devices that are now coming up on mid-range smartphones. And Marathon M3 is one of the examples. This is something that Mediatek smartphones have been coming up. Hotknot technology is a cheaper alternative to the NFC technology. As it allows content exchange between two Hotknots enabled handsets. Though, the transmission speed is not as good as on NFC. But it is good enough for the exchange of small size contents, like photos, contact info, and more. The technology uses the touch sensors for communication, G –sensor for confirming contact and proximity sensors to detect an object in range. Therefore, the exchange is done by holding the handsets screen against each other. On Marathon M3, Gionee has included a ton of Bloatware apps. While some consumers like it and some don’t. The company doesn’t allow the pre-installed apps to uninstall. Though, there is a simple solution to this issue. You just need to get root folder access to your device by rooting. It’s that simple. The gesture input is a very popular format on smartphones, and magnification gesture is one of them. While it is not for the input purpose, but it will allow you to zoom in and out on the screen by triple-tapping on the screen. It would prove useful mostly during the browsing on the device. As you would be easily able to adjust zoom level and pan. To adjust zoom level, you need to pinch two or more fingers together like this. And panning is easy as you need to drag two or more fingers across screen, while zoomed-in. This triple-tapping for magnification works almost everywhere, except the obvious keyboard and navigation bar. There is a pre-installed app called Start, which is basically a personalized lock screen app. You can access few bunch of apps like Facebook and Twitter from this lock screen. There is an option to create a photo album from the gallery and check out the weather as well. The app allows you to customize the look as well by changing background and theme. 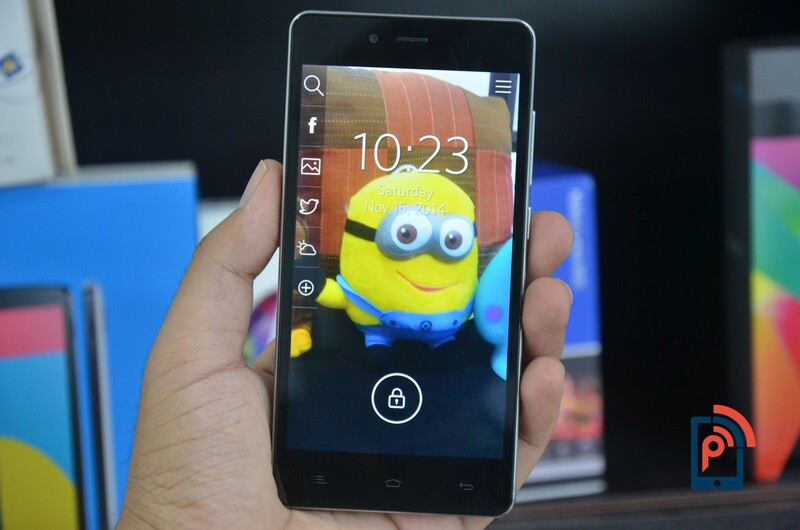 It is quite interesting lock screen app that we have come across so far. Tethering is one of the basic connectivity needs of the smartphones these days. This feature makes your smartphone a Wi-Fi hotspot. Meaning the smartphone will be acting as a wireless router that is used to connect to the internet. You can find this feature in the Wireless & Networks section in the settings. There select the “Tethering and hotspot” option and enable the portable hotspot. You can configure the hotspot by naming and setting up a password. If you want to share the internet connection of your mobile device. Then, there are three options for you, USB, Wi-Fi and Bluetooth tethering. Generally, the Amigo UI on Gionee handset doesn’t provide the app drawer functionality. But then, Marathon M3 doesn’t run Amigo UI that is found on the S5.5 and E7 handsets. Though, still many options are missing from the app drawer. While the options available are limited to searching apps, creating folders and switching of the menu loop. That is one of the reasons I’m not the biggest fan of Gionee’s custom interface. It would be easy to manage app drawer, if the company had included the missing functionalities like sorting, widgets, and more. While company did provide the dedicated apps like Color and system manager to access some features easily. Sometimes if you want to try out the apps that are not yet available on Google Play Store. Then, you have to install the apks directly on your smartphone. But by default the smartphone doesn’t allow these apps to install. To install apks on Marathon M3, it is fairly easy. Just go to settings and enter into security option, there find the option named Unknown Source. Checking against the option will allow you to install those apks. But do remember that, installing those apps from unknown sources might damage your Marathon M3. It is something of a basic feature that we see on an Android smartphone. It can be accessed from the notification bar present at the top of the screen. For instance, you can control the brightness of the screen directly from the notification panel. As well as functions like memory booster, Wi-Fi, Bluetooth, and much more. You can also edit options that you want to appear in the quick settings. For that, go to more option and drag the functions in the list that you want. It’s that simple. The feature that is generally accessed from the app drawer is present on the home screen itself. Tap and hold on the home screen anywhere to open this functionality. There are three sections on it, widgets, apps and shortcuts. You can easily manage all these things from here, as well as the number of home screens. Gionee has also included the scheduling features on Marathon M3, which are slowly becoming available on all mid-range smartphones of the company. With this feature, you can easily plan whenever you want to switch on/off the device. Or either you can put your device on a timer for airplane mode. It will keep quite when you’re trying to catch up on sleep. And don’t want to get disturbed at all. The feature allows you to repeat the timer daily. It is quite convenient feature if you ask me. It is fairly an easy task to perform. First you need to switch off the device. Now carefully remove the back cover of the device. You will find two SIM slot; one placed at the top while other is located on the right side. Insert the SIM cards according to the symbol mentioned, don’t insert the SIM upside down. Now put the back cover on Marathon M3 and turn on the device. There you go, the SIM has been successfully inserted in the device. Since, Gionee has done no announcement for their flagship smartphones E7 and S5.5, regarding the Lollipop upgrade. We cannot be sure whether, the mid-range smartphone such as Marathon M3 will be receiving the Android 5.0 Lollipop updates anytime soon or in the future. But let’s be optimistic and wait for the announcement by company.